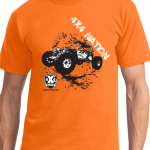 Get your 4X4 T-shirts now! Navy and pink graphics on heather gray. Available in S-XXXL. I Do My Own Stunts with 4X4 Custom Graphic. Please allow 2-3 weeks for delivery. United States shipping only. 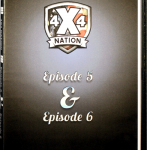 Get your 4X4 T-shirts now! Black and white graphics on safety orange. Available in S-XXXL. 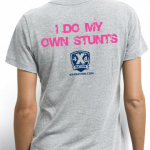 I Do My Own Stunts with 4X4 Custom Graphic. Please allow 2-3 weeks for delivery. United States shipping only. Get the 16-month 4X4 Nation Real Women of Southern Rock Racing calendar. You can have Women & Wheelin' all year long.